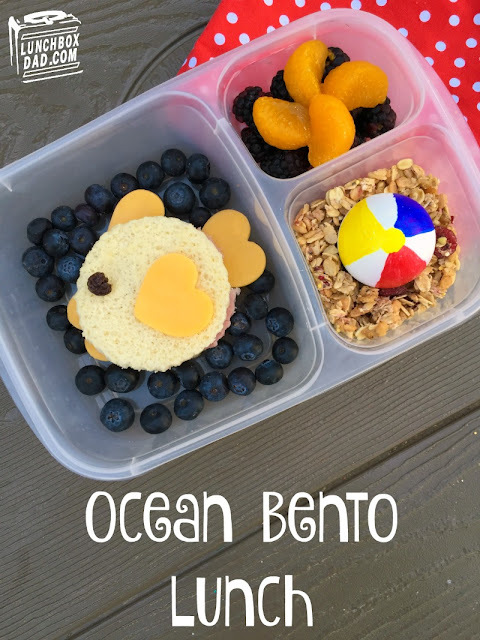 To get set for summertime I decided to help my kids think of the beach with this ocean themed bento lunch. This one is seriously easy to make and will help your kids get through the end of school and start summer off right. My family will be visiting California next month so I know they can't wait to visit the beach again. We've had some great times there and it is one of the things my kids miss since we moved out to Oklahoma. Until next month, this will have to tide them over. See what I did there? I couldn't help it, I'm a dad. 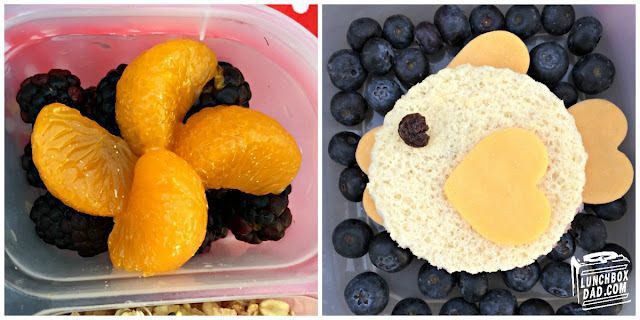 I made this in an easy lunch boxes container. Ingredients: sliced bread, meat, cheese, blueberries, raisin, blackberries, mandarin orange slices, granola, hard boiled egg, sharpie markers. Directions: I won't go step-by-step through this lunch because it is pretty self explanatory. 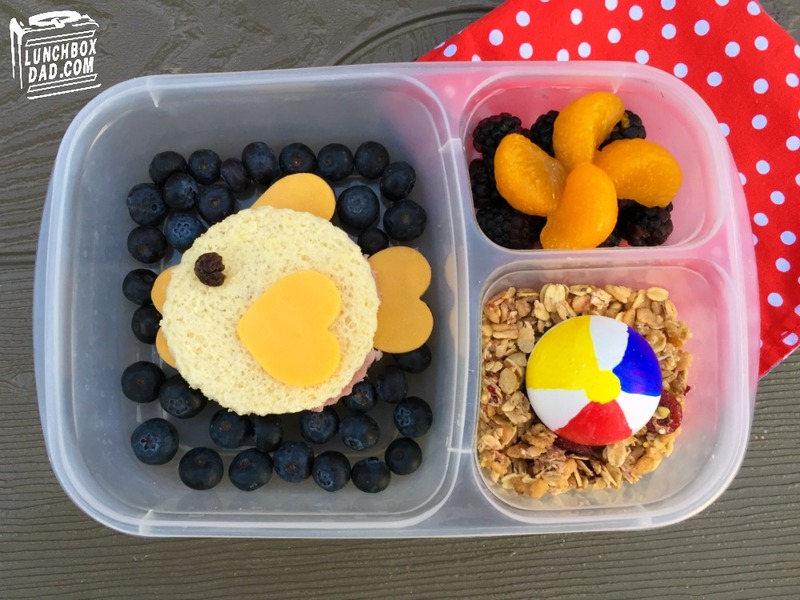 I did use circle cookie cutters and heart shaped vegetable cutters to make the shapes for the fish. That made it so much easier. I used Sharpie markers to make the beach ball.